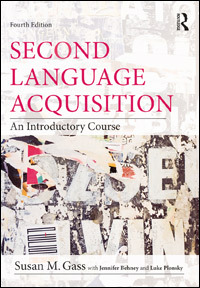 Second Language Acquisition: An Introductory Course, 4th Edition is a comprehensive and accessible overview of the field of second language acquisition and its related disciplines. The book introduces students to current issues of data collection and data analysis, as well as provides an historical overview of the field, thus giving students context and perspective about how today's issues arise from earlier approaches. Discussion questions and/or problems at the end of each chapter help students apply their knowledge and relate information across chapters, and a glossary defines and reinforces must-know terminology.